The financial industry is under increasing pressure to create more engaging experiences that help attract and retain customers. For Bank of Queensland’s general marketing manager, Toby McKinnon, focusing on improving a bank’s brand and cultural approach can have some exciting customer outcomes. McKinnon joined the bank in 2012, a year where the bank was going through a rough patch that required significant executive changes. At the time, BOQ had suffered a statutory loss of $91m in the first half of 2012, and by middle of the year received a Moody Investor Service rating downgrade from A3 to Baa1. This prompted managing director and CEO at the time, Stuart Grimshaw, to announce plans for a new executive leadership team to help drive restructure and growth. Shortly afterwards, two of BOQ’s directors, Bill Kelty and John Reynolds announced their retirement from the board. “The business was in a bad position and a whole new executive came in – so it offered the opportunity to be part of a turnaround story, which was too good to say no to,” McKinnon told CMO. McKinnon was recruited alongside a host of new executives including COO (now managing director and CEO), John Sutton, CFO, Anthony Rose, chief risk officer, Peter Deans, BOQ business group executive, Brendan White, and group executive of retail banking, Matt Baxby. McKinnon’s first remit was to relaunch the BOQ brand. He said he needed to really dig deep to gauge where the bank was placed in the market and come up with a brand and marketing strategy devised and embraced from the inside out. McKinnon now oversees all marketing responsibilities across BOQ’s retail bank, business bank and finance group across all channels. This includes digital channels, broker and corporate franchise branch network, across all lines of products, as well as brand sponsorship. It’s a pretty large remit for a fairly small team of 11, which has grown over his four-year tenure. “As we have more businesses come online, I’d see architecture being built and functions built around data analytics and marketing automation. So I think as programs like those grow, we will need to grow with it,” he said. But nothing good comes easily, and the cultural turnaround was not without its challenges. “One of the key challenges as an organisation for quite some time was communicating the reams of change,” he said. “Once we ran a program to educate people on why we were doing what we were, and how we were doing it, the organisation actually saw the benefit of it and the initiative grew a life of its own. Digital transformation initiatives also play a key role in driving a more customer-centric approach at BOQ, McKinnon claimed. 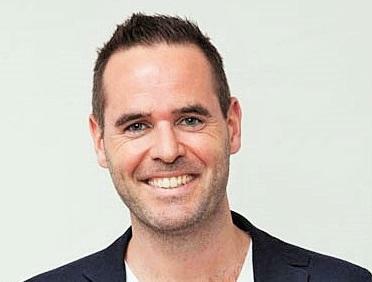 McKinnon revealed the bank recently developed a ‘Facebook for branches’ program, which he claimed is a first of its kind for branch-based marketing in Australia. This allows a branch network to have its own Facebook presence within the communities it operates. While agreeing the pressure is on banks to compete and be creative in finding innovative ways to keep customers engaged, McKinnon stressed it’s all about balancing a bank’s digital offering with what a customer actually needs. McKinnon stressed every organisation, not just banks, need to have a strong digital presence in the short-term while at the same time be forward thinking and innovative. “At BOQ, we’re prioritising ways and means in which we’re engaging with our customers from a digital point of view to tick the boxes in the short term, knowing there is also further digital transformation happening further down the line,” he said. One of the lessons McKinnon said he learnt from his extensive career both in Australia and in the US is the importance of putting the customer first. “Many years ago, I was fortunate to relocate to North America and have the opportunity to work with several fortune 500 companies over there, and they operate on such grand scales,” he said. “The key thing I learnt is it doesn’t matter what scale, large or small you’re operating on, there’s one consistent theme across all organisations, and that’s the customer. It’s very easy for companies to say they have a customer-centric approach, but in reality, it’s a very difficult thing to execute on, he said.